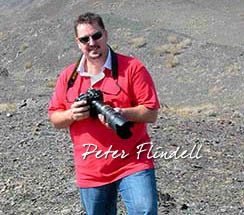 Finding information about Thomas Flindell III has been difficult. In 1790 his father Thomas II accepted a position as editor of the Doncaster Gazette in the West Riding of Yorkshire where he remained until his return to Cornwall in 1798. It was during this period that he met and married Mary Brunton of Halesower Yorkshire on June 2nd 1794. We know from 1851 England Census that Mary, their first child, was born in Doncaster and that Elizabeth, their fifth child was born in Truro, Cornwall in 1799 a year after Thomas returned to Cornwall with the family. It is therefore reasonable to assume that Thomas III, and his two younger brother, John Brunton and Phillip were born in Doncaster. We can place the birth of Thomas between 1795 and early 1796, from his baptism record. He and his younger brother John Brunton age 1 were baptised on April 15th 1798. At this time the family was in Helston, Cornwall. The Literary Souvenir or Cabinet of poetry and romance edited by Alaric A. Watts. London and Printed by T. and J.B. Flindell, 67 St Martin’s Lane. The Stanley Tales, Original and Select, chiefly Collected by the Late Ambrose Marten, of Stanley Priory, Teesdale, Published by W. Morgan, 45, Dean-Street, Soho, 1826-27 and Printed by T. and J. B. Flindell, 67, St. Martin’s-Lane. 6 vols. On July 29th 1821 Thomas married Elizabeth Croft in Exeter, Devon. Elizabeth, the daughter of Charles and Mary Croft was baptised in Plymouth, Devon on May 30th 1796. At this time Thomas was probably working for his father who by this time was a very sick man. Thomas II died July 11th 1824 and the business was kept operating by the family until it was sold sometime after 1826. It is not positively known when Thomas or Elizabeth died. It is possible that Thomas died either in 1845 or 1855, and Elizabeth in 1854, in the Greater London area, but this has not been resolved and validated. This is the area that Thomas and his brother John Brunton had a printing business. John Brunton died in the December Quarter 1849 in the Marylebone district so the 1845 record is probably Thomas son of Thomas and Mary (nee Brunton). IGI British Isles Batch C053371, Source Call 0916939, Printout Call 0933497. At age 2. LDS CO 063831 Source Call No 0590694 based on extracts of birth and christening. Batter Street Presbyterian Church.